SPring-8(Super Photon ring-8 GeV), which is the largest third-generation synchrotron radiation facility in the world. It is located 30 km northwest of Himeji City, which is about 640 km west of Tokyo. The SPring-8 site covers 1,410,000 m2. Its accelerator complex consists of an injector linac, a booster synchrotron and a low emittance storage ring. The linac is a linear accelerator. It generates electrons with an electron gun, and accelerates them to an energy of 1 GeV. The accelerated electron beam is transported to the synchrotron, which then accelerates it to 8 GeV. Next, the beam is injected into the storage ring and stored with the energy of 8 GeV. The stored electron beam emits synchrotron radiation at bending magnets and at insertion devices (undulators or wigglers). The emitted radiation is transported through beamlines to hutches in the experimental hall and used for advanced research in many fields including material, earth, life and environmental science, spectroscopic analysis, and industrial applications. (inset left) The crystal structursse of bovine rhodopsin: Rhodopsin is the visual information sensor in the visual system with very high sensitivity. Optimized RIKEN Beamlines with 3 monochromators were used for the structure analysis. (inset right) The heme-environmental structure of hemoglobin: This is the structure just after the CO is photo-dissociated from the iron. This is a very short-lived transient structure. 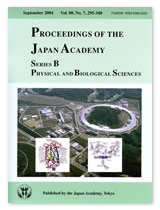 Use of synchrotron radiation of Spring-8 allows the observations of its dynamic structure. 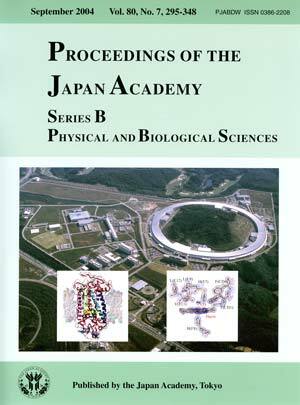 Based on the information provided by the RIKEN Harima Institute at Spring-8.